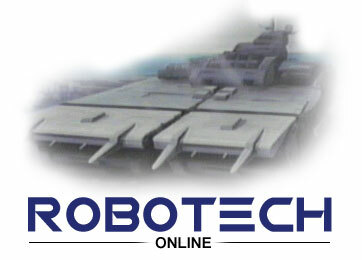 This site is dedicated to the 80's cartoon series Robotech. When Robotech debuted on American television, I was immediately hooked. The show blended elements never before seen on an American cartoon; drama, romance, and of course action. The incredible story was made even more difficult because of the series origins. In order to have enough episodes for syndication, it was necessary to combine 3 separate animes into one cogent and believable storyline. The results were an incredible success. Since its initial run ended, it has lived on in the hearts of fans and a few brief stints of cable and PBS television. © Copyright 1995-2002, Copyrights of material in this website belong to their respective owners. Please email comments or suggestions. TDK-Interactive is releasing the new console game: BattleCry. It is available for XBox, PS2, and GC. Find more information here. Del Ray is rereleasing the novels to coincide with the launch of the new Robotech video games. Find more information here. AD Vision Films has obtained the rights to Robotech. They have hired Carl Macek to add extra features. This is truly the best way to own the series. Find more information here. Animeigo has bought the rights to produce a limited edition version of the original series. This will be a subtitled version of the original series, not Robotech. Find more information here.